Kraft Heinz and Anheuser-Busch had high payout ratios and dividend payments relative to FCF, leading to dividend cuts. The companies have large amounts of long-term debt and increasing interest expenses. Both companies may do another acquisition that may lead to less financial flexibility and another dividend cut. The focus for these companies is in de-levering rather than returning cash to shareholders through dividend payments and buybacks. The financial news has been dominated by the earnings results, dividend cut and SEC investigation announced by Kraft Heinz Co. (KHC) on the evening of February 21, 2019. The company took a non-recurring impairment charge of $15.4 billion to write down goodwill and intangible assets of the Kraft and Oscar Mayer brands’ trademark. In addition, Kraft Heinz announced an SEC subpoena on its accounting policies and internal controls in October, and the company missed both revenue and EPS estimates for 4Q2018. Even more importantly, it announced a dividend of only $0.40 per share, which was cut from $0.625, or a decrease of roughly 36%. The stock cratered in response and fell nearly 30% in one day. I have periodically looked at initiating a position in Kraft Heinz but have not yet done so. Despite the dividend cut, the huge drop in stock price has placed the dividend yield back over 4.5%, and the stock is undeniably cheap, trading at a P/E ratio of about 11.0. The stock has dividend growth potential. I asked myself, "Should I buy?" Several Seeking Alpha authors have recently argued that there is value in the stock. But my answer, as in my earlier article on Kraft Heinz, is still the same: I am staying away. This brings me to the reasons why I am not buying Kraft Heinz, Anheuser-Busch InBev SA/NV (BUD) or even Restaurant Brands International Inc. (QSR) for my dividend growth portfolio. These are all companies controlled and managed by 3G Capital. I will outline the reasons below. I tend to focus on dividend growth investing. Dividend cuts will definitely keep me from investing in a stock. In the case of Kraft Heinz, I previously (in my earlier article) anticipated little dividend growth due to a payout ratio exceeding 65% on an adjusted EPS basis and an even higher payout ratio on a diluted EPS basis. In addition, the dividend payout took up too much of the FCF. In any event, I thought that the dividend would be maintained flat and not cut. But my assessment at that time was overly optimistic. A 65% payout ratio is a level I consider as my threshold for purchasing a dividend growth stock. In the case of Kraft Heinz, my quantitative screen kept me from making a purchase. In the instance of Anheuser-Busch, the company cut its dividend 50% in October 2018. This came on top of an earlier cut in 2017. Although the two companies are very different, they both had high payout ratios that in, my opinion, were unsustainable. The chart below shows select financial metrics. In addition to high payout ratios, both companies had dividend payments that were also high relative to FCF. This indicates that they needed to use cash on hand or increase debt to make the dividend payments. Clearly, one way to address this shortfall is to reduce the dividend payment, as has been done for both companies. Notably, the payout ratio of Kraft Heinz is now ~55% and that of Anheuser-Busch is now ~40%, which are more sustainable. Although the payout ratios are now lower and the dividends are better covered by FCF, I do not buy a stock if the dividend was cut recently. From this perspective, Restaurant Brands International has comparatively better metrics. Its payout ratio in 2017 was about 50%. Notably, the dividend has grown since 2017. But so too has the payout ratio to approximately 75%, which is a value I consider too high and unsustainable over the long term. I expect that dividend growth will slow considerably in the near future. Another area I focus on is long-term debt. Too much debt reduces financial and operational flexibility, as interest payments and de-levering take up too much cash flow. The debt levels for all three companies are shown in the table above. My quantitative screen requires that the debt-to-equity ratio (D/E) be less than 2.0. From this perspective, the D/E ratio for Kraft Heinz is 0.5, for Anheuser-Busch is 1.62, and for Restaurant Brands International is 5.49. Kraft Heinz and Anheuser-Busch meet my metric targets, but Restaurant Brands International does not. In addition, interest coverage tends to be only OK at 4.5 for Kraft Heinz, roughly 3.5 for Anheuser-Busch, and about 3.5 for Restaurant Brands International. From my perspective as a small investor, the main is that the average weighted interest rate is increasing for Kraft Heinz and Anheuser-Busch, as seen in the table below. This indicates that the companies are refinancing existing debt and issuing new debt at higher interest rates. In this regard, Restaurant Brands International is performing better, as its average weighted interest rate is decreasing. Normally, a company with high debt and decent cash flows could cut costs to service debt and pay interest expenses. But 3G Capital already runs its companies lean and has industry-leading operating margins. This means there isn't significant room for improvement. For example, Kraft Heinz’s operating margins peaked at 25.8% in 2017 and have decreased since then to a value closer to 20%. Both these values are still higher than the company's competitors in the consumer staples industry, which are typically in the mid-to-high teens. For example, General Mills Inc. (GIS) has margins that are approximately 17%, while Mondelez International Inc. (MDLZ) has margins that are roughly 15%. This difference suggests that Kraft Heinz has little room for improving margins to de-lever. In the case of Anheuser-Busch, the company has margins that are significantly greater than its competitors. For instance, Molson Coors Brewing Co. (TAP) only has margins that are about 15.9% in 2017, or only half that of Anheuser-Busch. This large difference also suggests that Anheuser-Busch will not be able to significantly improve margins to pay interest expenses and reduce debt. Similarly, Restaurant Brands International has higher margins than competitor Yum Brands Inc. (YUM), which has margins of 27.9%. Again, there is little room for Restaurant Brands International to improve margins and de-lever. In fact, with inflation pressures from commodity inputs and freight costs and little ability to increase prices, I think that margins will come down. In turn, this will lead to less financial flexibility from the perspective of paying down debt and paying interest expenses. 3G Capital likes to acquire companies and build scale. It typically pays cash by issuing debt combined with some common stock or preferred shares to investment partners such as Warren Buffett’s Berkshire Hathaway (BRK.A, BRK.B). But with the high debt loads at Kraft Heinz and Anheuser-Busch, recent earnings misses, increasing interest expenses and increasing costs, it is unlikely that another large acquisition will occur in the near future. Furthermore, investment partners may be difficult to find. 3G Capital has signaled that de-levering is a priority for both companies. I believe this effort is to position both companies for another large acquisition. Clearly, one way to de-lever is to reduce the dividend payment and free up cash flow to pay down debt early. Although this has already been done, there exists the possibility of no dividend growth and future dividend cuts to de-lever at an even faster pace. Although acquisitive companies can create shareholder value, most small investors in Kraft Heinz and Anheuser-Busch have experienced dividend cuts, limited share buybacks and comparatively poor stock performance. 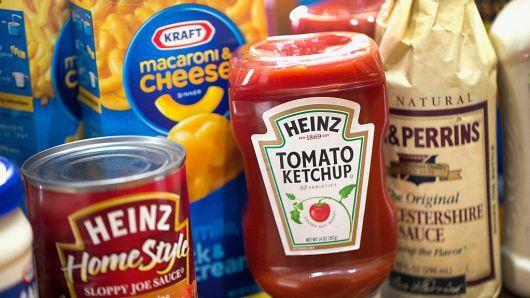 Kraft Heinz has industry-leading margins, but seemingly is not performing as well as the company’s competitors. In addition, margins are dropping back to levels near the industry average. Anheuser-Busch is the largest beer company in the world and is the clear market leader in many countries. The company is certainly in a position to return cash to shareholders after a period of de-levering. But I am not sure that this will happen, as another acquisition seems to be the priority. On the other hand, Restaurant Brands International is positioned for growth. The company has the brands to expand globally. But at the same time, I am not a buyer, as I am unsure if 3G Capital will do another acquisition and cut the dividend to de-lever. Disclosure: I am/we are long GIS. I wrote this article myself, and it expresses my own opinions. I am not receiving compensation for it (other than from Seeking Alpha). I have no business relationship with any company whose stock is mentioned in this article.